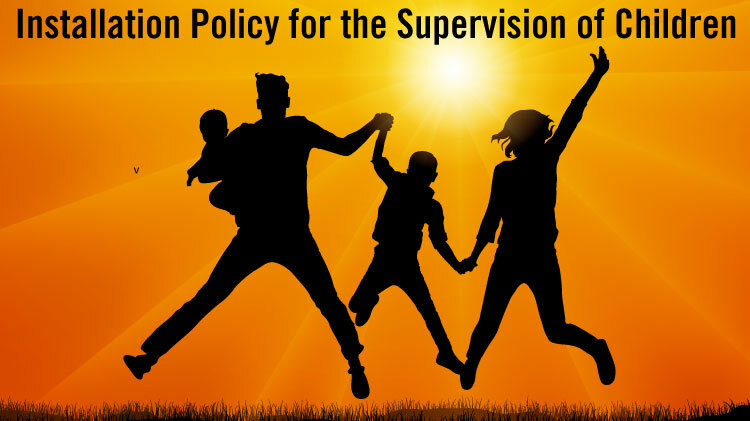 For information purposes, here is a copy of Fort Carson GC Policy #10 - Installation Policy for Supervision of Children. The installation policy does differ slightly from Colorado state law, and applies to anyone, including civilians, who are on Fort Carson. This letter can also be obtained from Army Community Service, at the MP Station, Child Development Centers, USAG Fort Carson Safety Office, Family Advocacy, the Fort Carson Publications website (CAC card required), any on-duty uniformed Military Police or Army Civilian Police officer, and many other places.